This memorial outside Miller Park pays tribute to the first Major League team in Milwaukee, also known as the Brewers. 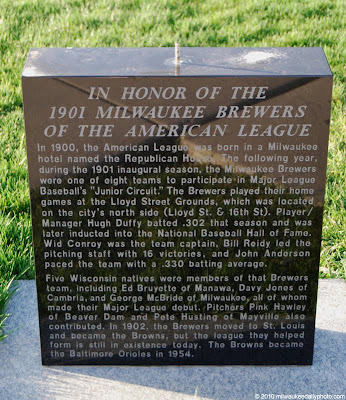 The simple granite slab explains the history of that team and what became of it. It's rather disturbing that someone found it important enough to take what was attached to the metal spike on top.